The existing competitive business environment requires the entrepreneurs to identify unique problem-solving strategies to make them overcome competition. Hence, it is vital for them to protect their exclusive creation from other parties who can benefit from the knowledge. Plainly, intellectual property is a new invention that results from the creativity of an individual who has full entitlement to it. Such ideas need protection to deter other parties from using them in making a profit without the consent of the owner. Particularly, the possessors need a statutory protection of their products by registering them to ensure that they can legally claim the ownership of the invention. Different intellectual properties provide complete cover to various kinds of new ideas. Considerably, Sam had an intellectual property right over the list he created despite committing a tort by shoving Natalie. Specifically, there are four broad categories of intellectual property which include copyright, patent, trademark, and trade secret (Posner, 2005, p. 66). Markedly, copyright deals with the original works of authors, film producers, or programmers. Thus, they include books, movies, computer programs, and articles among others. Ideally, a patent is an invention of an object that improves its performance. On the other hand, trademark involves symbols, words, or a phrase that uniquely identifies a person or a company. Finally, trade secrets are secret formula or information possessed by an individual to gives him or her competitive advantage over others. Sadly, the information that falls under this category are not original enough to merit the protection of copyright, neither are they novel to sufficiently guarantee a patent protection. Nevertheless, the endorsement of the federal law limits the theft of trade secrets (Kinsella, 2001, p. 5). Agreeably, Sam’s client list falls into this category since it gave him an advantage over other employees and he needed to keep it private, justifying his actions by copying the files without the knowledge of the authority. Essentially, the law provides for the best plans to incorporate in safeguarding the fresh ideas that other people may steal. As in the case with Sam, he had his client list that he did not want any other party to access. Since he did not want to follow the lengthy procedure that the law requires in registering newfound knowledge, he decided to keep the data without the assistance of the authority. Unfortunately, his choice proved costly because he stored the data in the workstation of ABC Paper Corp. Interestingly, keeping the data in the computers of the company gave the firm a right to the information therein (Posner, 2005, p. 68). Therefore, leaving his client list in that location granted the company all the rights over the details in his file. Consequently, Sam was to communicate with the relevant authorities regarding the information stored on their computers rather than sneaking into the room of equipment and plugging in his drive. Thus, the first unethical act committed by Sam was accessing the room and the computers without authorization. Moreover, plugging a drive into the computer of the firm was unethical. Most enterprises forbid employees from plugging in external drives into the company’s computer system since such actions lead to loss of valuable information, access to private data, the spread of malicious software, or spying the network. Given that Sam was committing a prohibited activity, Natalie had to act. Since he suspected that he had committed an offense, he resolved to run away instead of explaining his actions to Natalie. As a result, Sam’s behavior confirmed to the boss that he had been compromising the security of the company. Unfortunately, he shoved Natalie aside in her attempt to prevent him from escaping. Undoubtedly, all the negligent acts of Sam were unethical. Henceforth, although he sought after his client list, the procedures he used convicted him for criminal activities. In essence, the government has established laws to protect the public from undue injuries. Accordingly, tort laws safeguard and handle the treatment of the injured individuals due to the recklessness of another party. A tort occurs when a person inflicts an injury on another person and the latter sues for the damages caused (“Babcock Law Firm,” 2017). Usually, an injury case can result in different categorizations that require the law to have defined procedures for handling each occurrence. As a result, tort lawsuits are the largest group of civil litigation (“Babcock Law Firm,” 2017). However, there is three generalization of the types of injuries handled by the law namely negligence, intentional torts, and strict liability. Accordingly, intentional torts result from the purposeful engagement in an activity that can cause damage to another person. For instance, initiating a fight against another person exposes the offender to an intentional tort. On the other hand, negligence tort illustrates the every citizen has the moral code of conduct that one should follow. Failure to adhere to such rules poses a risk to other individuals and can lead to injuries or damages. The occurrence of these injuries does not rely on the planned activities of the offender but the carelessness of the party and failure to grant the obligation owed to another. Agreeably, this is the most common type of tort (“Babcock Law Firm,” 2017). Undoubtedly, Sam committed negligence tort when he shoved Natalie aside while escaping interrogation. He did not intend to injure her, but the push caused the concussion. In truth, Sam failed to follow the procedures of safeguarding his data and acquiring the same. Therefore, he resolved to other activities that threatened another party, Natalie. Truly, he was the only offender who committed a tort. Most of Sam’s actions subjected him to criminal liability. Specifically, he plugged in his external drive to the computer without the authorization of the firm. After that, he decided to run away when the boss arrived to investigate the matter. He was supposed to explain the issue to Natalie instead of fleeing. Escaping made him guilty of committing an unknown offense. During his escape he shoved Natalie aside, committing the negligence tort. Hence, due to the illegal entry into the company’s workstation, copying the data, and causing injury to Natalie, Sam was criminally liable for his acts. All in all, intellectual property ensures that the new works of people are safe from access by other individuals. Accordingly, Sam’s client list merited trade secret protection since it gave him a competitive advantage over others. Throughout his dealings, Sam faced criminal liabilities which include a negligence tort when he caused injury to Natalie. Therefore, his poor plans in protecting his intellectual property put him at risk of prosecution. Kinsella, N. S. (2001). Against intellectual property. Journal of Libertarian Studies, 15(2), 1-53. Posner, R. A. (2005). 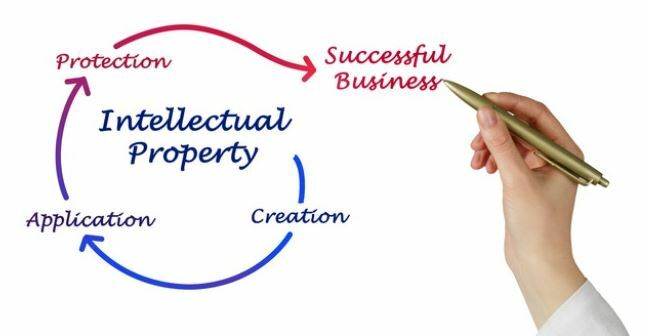 Intellectually property: The law and economics approach. Journal of Economic Perspectives, 19(2), 57-73. The 3 different types of tort law. (2017). The Babcock Law Firm LLC. If you enjoyed reading this post on intellectual property, I would be very grateful if you could help spread this knowledge by emailing this post to a friend, or sharing it on Twitter or Facebook. Thank you.